If we're being honest, when Shiner Ruby Redbird first arrived on the scene in 2011, this reviewer held the same opinion as others in that it didn't quite live up to expectations. A springtime special delivery from the folks at McGarrah Jessee, though, has provided the impetus for another look. So, why stand in the way of a second chance? Being two years removed from any experience with this beer, this article began as many do, with a fresh taste and a bit of research. The latter, focused both on prevailing critical and public opinion, has led the mind down a particular path. Along those lines, one imagines that when the brewers at Shiner discuss their summer seasonal, the dialog has a sort of Tales of Two Cities theme. You know the famous line, "It was the best of times, it was the worst of times." What other conclusion can be drawn, considering the wide-ranging opinions to be found on any of the popular online rating sites. A five here, a four there, a two, a one, a one-half. What gives? Is this a good beer, or a bad one? As they say, the truth likely lies somewhere in the middle. Maybe the problem is that Ruby Redbird tastes more like ginger "ale" than ginger "beer". The mystery of the missing grapefruit no doubt influences that impression, but beyond that the spice is not subtle, the carbonation is lively, and the body is light. Granted, this concoction has a little more kick than Canada Dry, but pour it blindly and see how many people notice a difference. Taking all that into account, it's hard not to see some level of appeal. It's brisk, with a soda-like body and consistency, and if you like ginger it has it in spades. Judge it as a beer and it's a tough sell, but judge it as a summertime beverage and you might be onto something. Hey, it's better than a shandy. Image credit: Martin House Brewing Company. 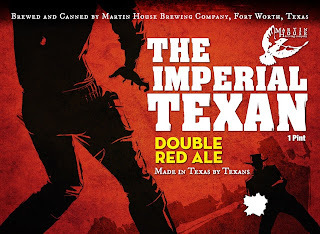 If brand imagery influences the kinds of beer we drink, the Imperial Texan from Martin House should be successful from the start. 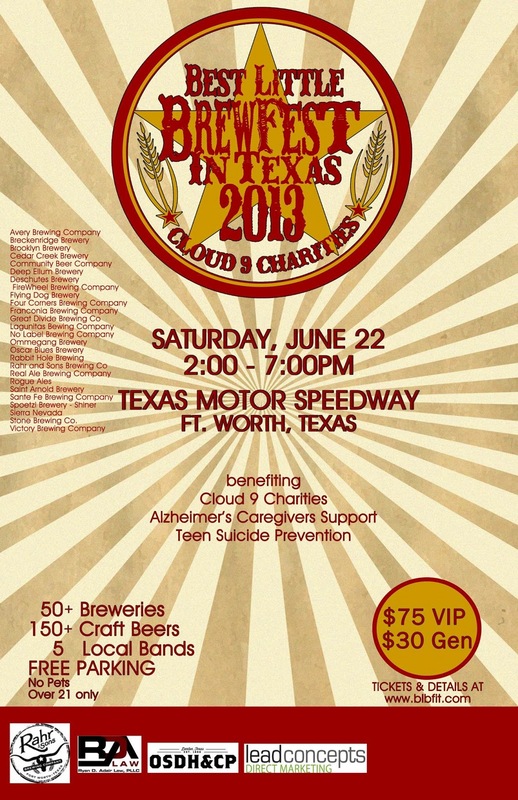 It's got an eye-catching label (what with its blazing red color), it's "imperial" (trendy buzz word), and it's Texan (regional references are always a winner). Oh, and let's not forget about the picture. If the sight of two Texas cowboys locked in a duel doesn't have you asking the barkeep to "draw" you a pint, I'm not sure what will. Yes, I know what you're thinking. Not to worry, the beer is good too. 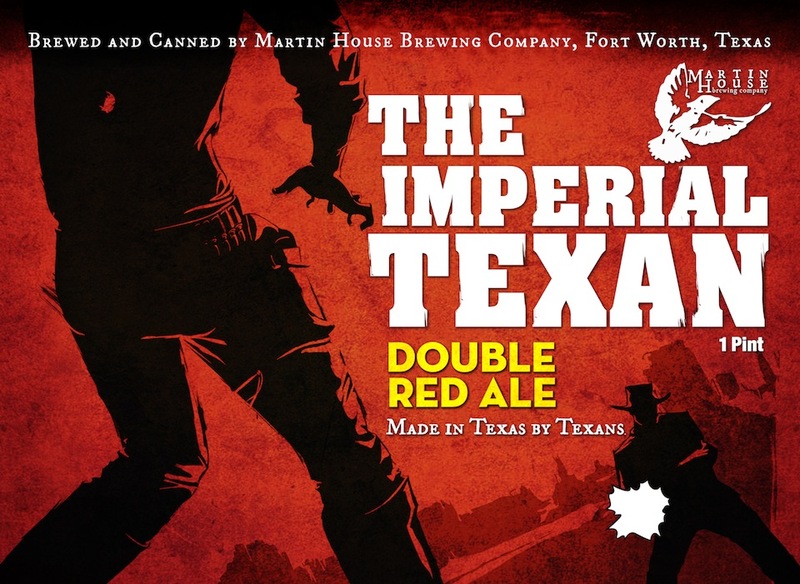 By now you've probably guessed that the Imperial Texan is an imperial red. That being said, comparisons to Peticolas' Velvet Hammer are inevitable. Yet, for all practical purposes these are two completely different beers. Whereas the Hammer imperializes an American-style red ale by boosting equally the flavor contributions of malt, hops and alcohol, the Texan takes direct aim at the Brewers Association (BA) style guidelines with its across the board hop intensity. One is balanced, one brazen, and taken together they demonstrate the range of interpretations one might see in a single style. Looking at the Texan more closely, aromas center on the sharp scent of pine needles, tree sap and fresh herbal tones. It's hop-forward and assertively bitter, with a moderate caramel maltiness forming the basis of its medium-full body. Some might like a little more heft in the latter, but go too far and it might start to have an American strong ale-type feel. Referring back to its title, calling this brew a Texan will elicit certain expectations, but this is a beer that appears to live up to its name. It's big and brash, and is the latest in a string of local brews that exemplify the willingness of new brewers to come out of the gate swinging. There is a fun bit of irony, though, in one of the brewery's core values. Intending to remain "unbound by tradition", they promise to not be "stymied by existing categorical guidelines." The thing is, judging by the BA definition of an imperial red, the Imperial Texan is about as representative as you can get. I've decided what, or rather who I'm going to be for Halloween. Who is Clara Peller, you ask? She's that crotchety old lady who starred in one of Wendy's most memorable advertising campaigns. The only difference is, my tagline won't be "Where's the beef?," it'll be "Where's the beer?" I made this decision because I seem to be spending a lot of time lately trying to figure out why my beer doesn't taste like beer. Of course, we all know "beer" isn't a flavor, but rather a celebration of it. At least, that's been the company line for craft brewers since the late 1970s. Yet, we seem to be evolving to a place where specialty ingredients are taking hold of the beers we drink. It's gotten to the point where there are times I wonder if I'm drinking beer or bouillabaisse (well, minus the fish). Let's get one thing straight. I'm all for moving beyond the beer "starter kit" (i.e. barley, hops, water and yeast) to more exotic ingredients. It's only natural to want to push the boundaries of beer as we know it in an effort to create more unique and flavorful brews. Just do it in moderation. Paraphrasing the BJCP style guidelines, specialty ingredients should be harmonious with the beer's other components while not totally overpowering them. Take, for example, coffee beers. There are some outstanding examples of how beers like this should be brewed: Real Ale Coffee Porter, Lagunitas Cappuccino Stout and Great Divide Espresso Oak Aged Yeti. Each infuses just enough coffee to compliment the roast and dark chocolate flavors contributed by the choice of grain. At the other end of the spectrum are the beers that taste like coffee. Not malt, not hops, just coffee. If I want coffee I know where to go, and it's not to a brewery. While the majority of Americans may live 10 miles from a brewery, virtually everyone lives within 10 seconds of a Starbucks. Go there to get your mug o' Joe to go. Beer shouldn't taste like coffee. Beer should taste like beer. Or, how about these trending Mexican, Mayan or Mole stouts? Honestly, I've never been more bewildered by a beer style. I say this not because I am put off by the flavor, for the combination of cinnamon, bittersweet cocoa and varying blends of ancho, guajillo or chipotle peppers is bold, slightly aggressive and quite tasty. The problem is, nearly every one of these brews I've tried is so exceptionally light in body it's like drinking spiced water. Is it supposed to drink like a cold version of a hot toddy? Here's an idea, use it as a marinade. That way, you can soak some barley and hops in it and make it into a beer. Look, there's no harm in raiding the pantry in search of new flavors, but throwing a blanket of spice over a hastily made bed of barley and hops is the first step in making a bad beer. Really, all you have to do is ask yourself one question. Do you want to make beer, or just another beverage? Beer should have balance. Beer should have body. Simply put, beer should be beer. When to get the "good": Real Ale Coffee Porter and Lagunitas Cappuccino Stout are fall seasonals, while Great Divide Oak Aged Espresso Yeti is a late winter release. 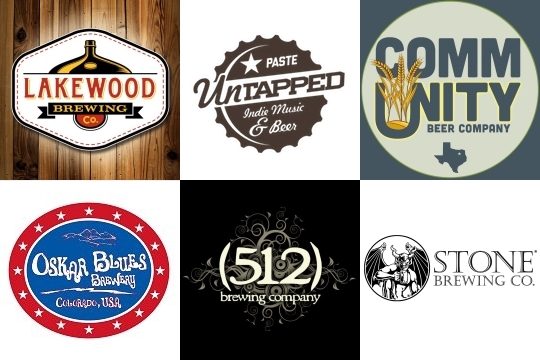 In January, American Craft Beer published an article entitled "In Defense of All Craft Beer", written by Dallas correspondent Amber Medin. In it, she discusses the idea that if a brewer tags any given release with words like "imperial" or "barrel-aged", that beer is likely to get better reviews. Reading this, it reminded me of two things. First, I recalled a conversation I had with a local brewer, who while pouring festival samples noted that requests for the one with "hop" in the name far outweighed those of his other beers. Second, it encouraged me to revisit a side project I had been working on, involving a study of whether or not a correlation exists between a beer's alcohol percentage and its online rating. Curiosity got the best of me, so I decided to compile some data and let the numbers tell the story. To do this, I took a weighted average of ratings posted on Beer Advocate, RateBeer and Untappd. I stuck to products brewed in the Metroplex, not only to gain insight into the kinds of beers the locals are drinking, but also to see how the "big" versus "little" debate would shake out in a city whose climate lends itself towards more sessionable brews. Taking the simple case first, fitting a trend line to the raw data shows beers with higher ABV rate as much as a half-point higher on a 5-point scale. Surprised? You probably shouldn't be, especially in light of what a more detailed analysis tells us in the graphic to the right. 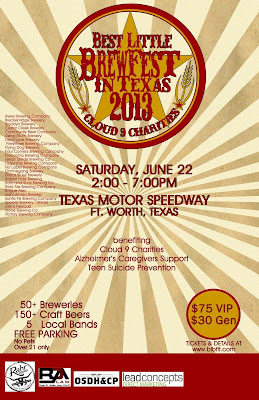 Breaking things down further in terms of style or buzzword (items in quotes), barrel-aged beers tower above the rest, followed closely by stouts and brews that have been imperialized. It's worth noting that stouts are biased upwards by the likes of Deep Ellum Darkest Hour, Lakewood's Temptress (both regular and barrel-aged versions), and Rahr Snowmageddon, all of which also happen to carry the "imperial" designation. Moving down the list, hop-named brews edge out English/Scottish styles, which get a boost from Rahr Iron Thistle, along with Great Scot!, Wintervention and Royal Scandal from Peticolas. From there, though, things descend more or less according to strength and flavor intensity, with standard pales, lagers and lighter hybrid brews falling in towards the bottom. The only exception being IPAs, which rank a bit lower than you might expect due to prevailing opinions on Stormcloud from Rahr & Sons. Summarizing these results, the numbers appear to confirm what we've suspected all along. When it comes to the ratings game, the bigger and buzzier the better. Asking a similar question that Medin poses, should that imply that big beers are the only ones worth drinking? Hardly. It's no secret that beer geeks go for certain kinds of beer, and you could argue that these types of people are more likely to consistently use an online rating system. That, and there is an undeniably subjective element in all of this. Online commentary suggests many rate strictly based on personal taste and their own expectations, without due diligence as to what the brewer is trying to achieve. Just because a brew isn't to one person's liking, it doesn't mean it's not a good beer and/or doesn't represent a style or the brewer's intentions well.